Ingredients: organic tomatoes (99%), citric acid. Size: 400g (4-pack, 100g each). 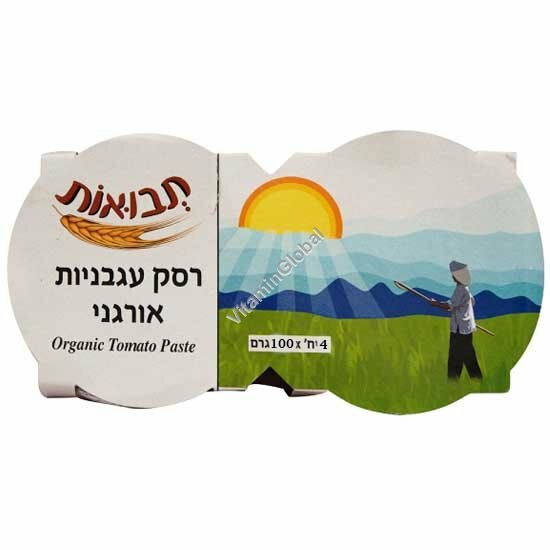 Kosher for Passover - parve. Under supervision of the Nahariya Rabbinate.